Previous studies had focused on the brain's grey matter – the area where all of the synapses operate. 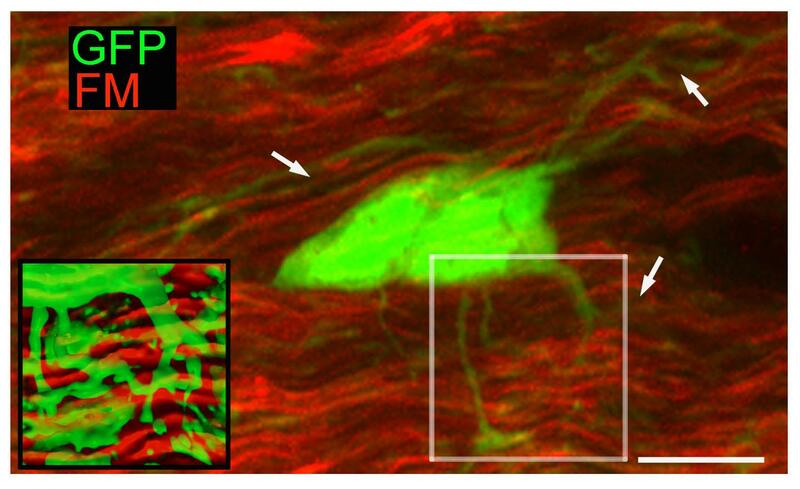 Now the new study focuses on white matter – the part of the brain the connects all of the grey matter together – and demonstrates that the glutamate release from axons themselves contributes to damaging myelin. As stroke is the second leading cause of disability and early death in the UK, Professor Fern, part of the University's Institute of Translational and Stratified Medicine, explains the significance of the findings. "Strokes are known to be caused by loss of blood to the brain, and there has been no way to treat the condition," he said. "As much as rehabilitation can be effective, there's nothing you can do to heal the damage. This is why it has been necessary to look at how the problem is caused in the first place. "Myelin damage results in severe functional deficit in the white matter of the brain, for example in ischemic – caused by lack of blood supply – stroke. By identifying how this happens, we have been able to show how QNZ-46 can be used to prevent the damage. "There need to be further studies to fully understand how these findings can translate going forward, but to see that there are no negative side effects at this stage is a promising sign. By continuing further studies, we can come up with even better forms of the drug to help in stroke treatment."